BROOKLYN, Mich., July 27, 2003 - Sam's back, the Panther Pack is back, and Chevrolet is back at the front in the IRL IndyCar Series. In the first test of the new Gen IV Chevy Indy V8 under racing conditions at today's Firestone Indy 400, Sam Hornish Jr. led 126 of 200 laps, ran the fastest leading lap of the race at 220.353 mph, and scored a runner-up finish. Starting his Pennzoil Panther Racing Dallara fourth on the grid, Hornish led the first lap. Then after 400 miles of flat-out racing on the 2-mile Michigan International Speedway oval, he came within .012 seconds of leading the last lap. Engaged in a fierce wheel-to-wheel duel over the final 20 laps, Hornish was edged by Alex Barron in Mo Nunn Racing's Toyota G Force at the finish line stripe in he fourth closest finish in the IRL record book. "I'm very happy that the new Chevrolet engine did everything it was supposed to do," said Hornish. "We just came up a little bit short. We've won quite a few races by inches, so we can't be disappointed about the one we lost." The race's 180.917 mph average speed was the fastest in IRL history. Hornish credited his team and Chevrolet for giving him a package that was capable of running at a record pace. 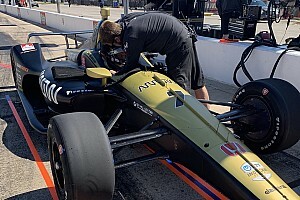 "The Pennzoil Panther team has worked so hard doing all of the testing with the fourth-generation Chevrolet," he said. "We would have liked to come through with the first win, but that wasn't in the cards today. I'm excited that the new engine debuted so well. A lot of people didn't know if it would go 400 miles, but we knew as long as we took it easy in the beginning we'd be there at the end. "I'm as happy as I could be outside of winning with the fact that the new engine debuted as well as it did. We ran up front, led a lot of laps and gained a lot of points today. It's been a good day." Hornish led by as much as seven seconds before a late-race caution bunched up the pack. The final laps became a high-speed ballet as drivers drafted and dodged for position. Hornish tenaciously defended the inside line. "We knew we had to be in the lead and stay on the bottom," Hornish reported. "Alex timed it just right and he had it." With less than 1,000 miles of track testing, the new Chevy powerplant exceeded expectations in its competition debut. 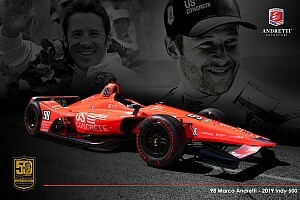 "The Gen IV Chevy Indy V8 passed its first test with flying colors," said Joe Negri, GM Racing IRL program manager. "We hoped for a good run with the new engine, but never imagined that it would be this strong. You have to credit the Panther Racing team for preparing a great car and Sam Hornish for driving it so well. 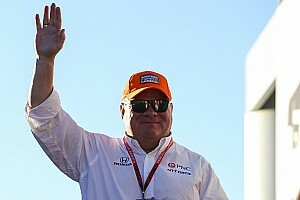 "Today's result is going to help all of the Chevrolet teams," Negri noted. "We accomplished every one of our objectives for this first race. The Gen IV Chevy is in its infancy, and we're going to work very hard to develop it further." Per IRL guidelines, Hornish will relinquish the Gen IV engine for the next race at Gateway International Raceway. Red Bull Cheever Racing, the second highest Chevy team in the points standings after today's event, will test the Gen IV engine with Buddy Rice at the wheel. Rice finished 11th today at MIS. "Everybody here is smiling again," Rice said. "It's good to see happy faces around here. We're going to work really hard these next two weeks to prepare the new engine for St. Louis and give Chevrolet the great finish they deserve." "We're still convinced - probably more so now than ever - that we're with the right company," said team owner Eddie Cheever Jr. "What Chevy managed to do in the middle of the season is very unique. What we saw today in Michigan with the Gen IV Chevy was an exceptional accomplishment. "Everybody forgets that GM is one of America's largest companies and the world's largest auto manufacturer," Cheever continued. "When they wrap their arms around something, you expect it to happen. I never expected it to happen at the pace it did. It was a very gutsy move." After a one-week break, the IRL series will run three consecutive weekends in Illinois, Kentucky and Pennsylvania. The Emerson Indy 250 on Aug. 10 at the 1.25-mile Gateway International Raceway near St. Louis will mark the series' return to a short track. 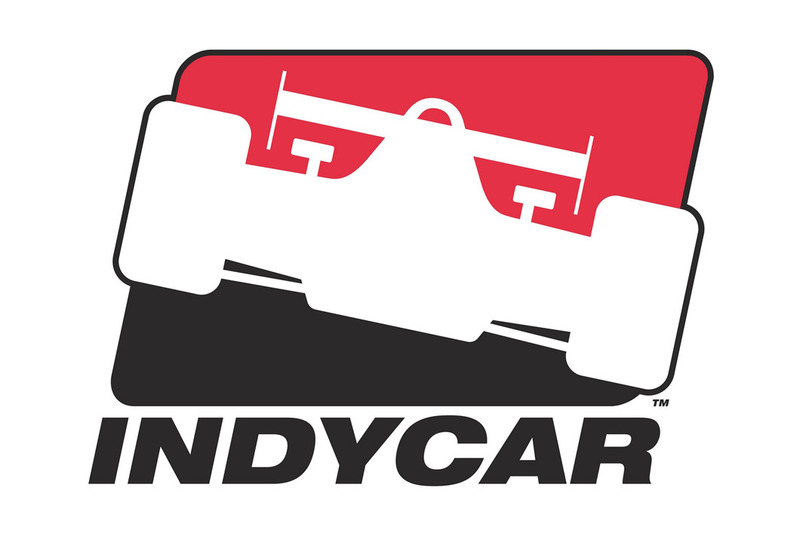 The 11th round of the 16-race IRL IndyCar Series will be televised live on ABC at 3 p.m. EDT.